I don't need to feel guilty about watching too much tv because I'm invariably knitting as well. Mr Nifty has no such excuse! 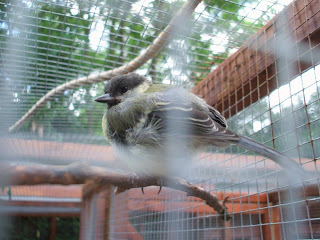 We both enjoy Wildlife SOS so when we discovered they were having an open day we knew we had to go. This is Simon Cowell, the only-slightly-eccentric chap who runs the charity. Follow him on twitter. 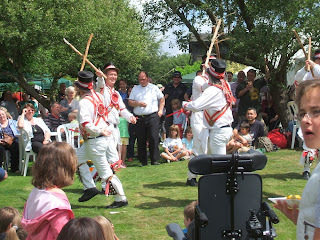 We weren't expecting morris dancers - but I'm always keen to see a new side so I can figure out how to knit them! 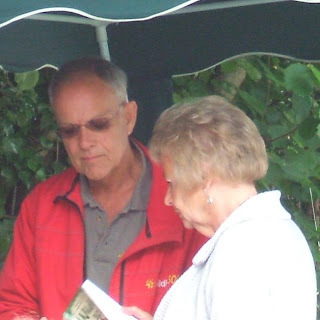 There were various stalls and entertainments, but the highlight was a quick wander around the hospital. We queued for half an hour, but it was worth it to make the acquaintance of this little patient. Isn't he gorgeous? 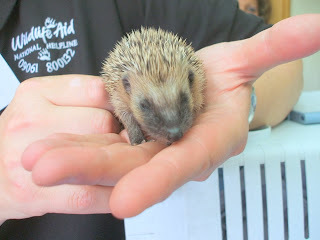 I can now say I have stroked a baby hedgehog - not at all prickly, more like a medium stiff hairbrush. 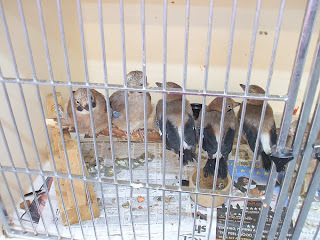 There were lots of birds in various stages of growth, some almost ready to go back to the wild. 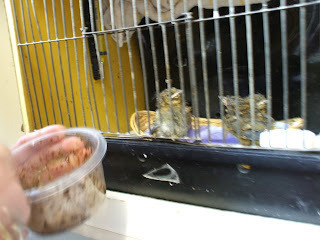 Wildlife Aid are keen to educate the public to watch and wait, as so many seemingly abandoned babies are actually perfectly safe and have been left to sit tight while the parents are off foraging for food. I love the baby hedgehog too! Looks like a lovely day and a very worthy cause! Aww, the tinybaby! So cute. 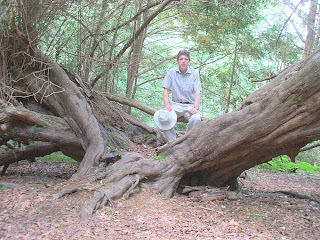 Tree is also amazing. My Dad celebrated Fathers Day by cleaning his motorbike with the cleaning kit I got him, my Mum's ill in bed! Am very excited - big, big Wildlife SOS fan....no more run over deer!!! 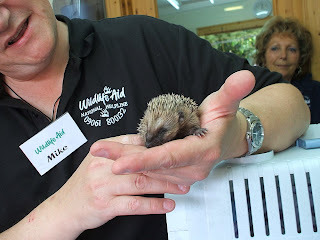 I didn't get to stroke a hedgehog when we saw one at a wildlife centre...all about the little T now! he gets all the fun.